Authorities are asking for the public’s help to find an armed and dangerous killer as the manhunt expands for a man who allegedly gunned down an elderly man in Cleveland, Ohio, and uploaded the video to Facebook. The suspect, Steve Stephens, hasn’t been seen since the Sunday afternoon shooting in Cleveland. 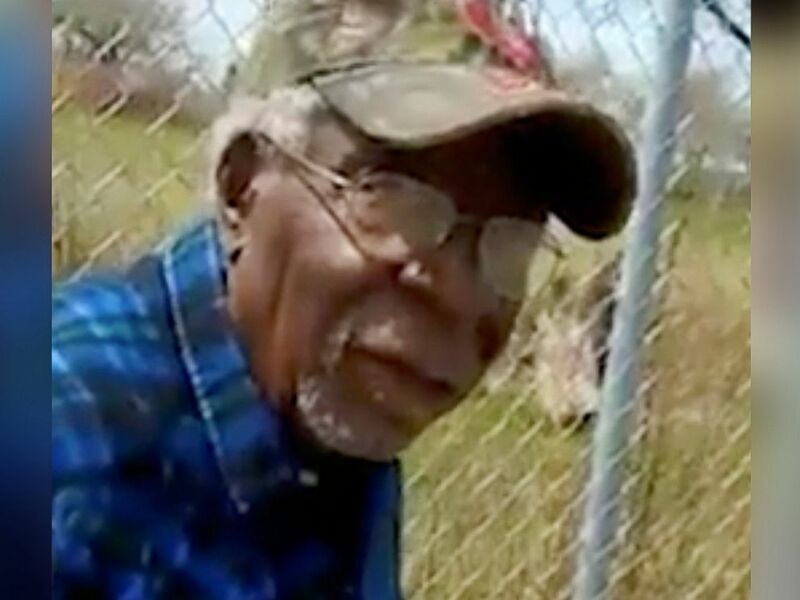 In the video, which has since been removed from Facebook, Robert Godwin Sr., 74, can be seen raising his hands in an apparent attempt to ward off his attacker before he is shot once in the head. Stephens claims to have committed multiple homicides, according to police. No additional victims have been found, police said. This Sunday, April 16, 2017 frame from a video posted on Facebook shows Robert Godwin Sr. in Cleveland moments before he was fatally shot. “We don’t know where he’s at,” Police Chief Calvin Williams said at a news conference this morning, adding that police are asking for the public’s help in finding him. “At this point, he could be a lot of places,” said Stephen Anthony, special agent in charge of the FBI‘s Cleveland division. He could be nearby, far away or anywhere in between, Anthony said. Authorities said detectives did initially make contact with Stephens via cellphone after the incident was posted on Facebook, but they were not able to track him or convince him to turn himself in. On Sunday night officers searched dozens of locations based on leads “to no avail,” police said. Williams said the search has expanded from Cleveland to the Midwest. He asked the public to go about their days but to also remain vigilant. The police said earlier that Stephens may already have left Ohio and asked residents of Pennsylvania, New York, Indiana and Michigan to be on alert. Police in Erie, Pennsylvania, said they had been notified of a ping detected from Stephens’ cellphone on the east side of Erie County. Stephens is a member of the assertive community treatment team at Beech Brook, a mental health organization in northeast Ohio, a spokesperson for his employer said. Beech Brook said its offices will be closed today out of concern for the safety of its employees, clients and visitors. Cleveland police have issued a warrant for Stephens on a charge of aggravated murder. Stephens doesn’t have a criminal record, police said. “We’re not gonna stop until he’s in custody,” Williams said. Local, state and federal law enforcement are involved in the search, said Anthony. Previous articleThe Border Birthday Club!